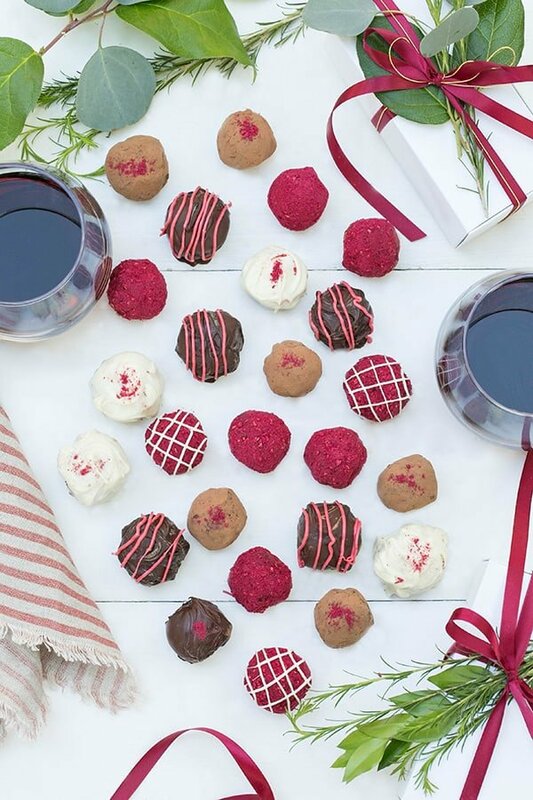 If there’s one special holiday treat you should make this year, it’s these red wine truffles! 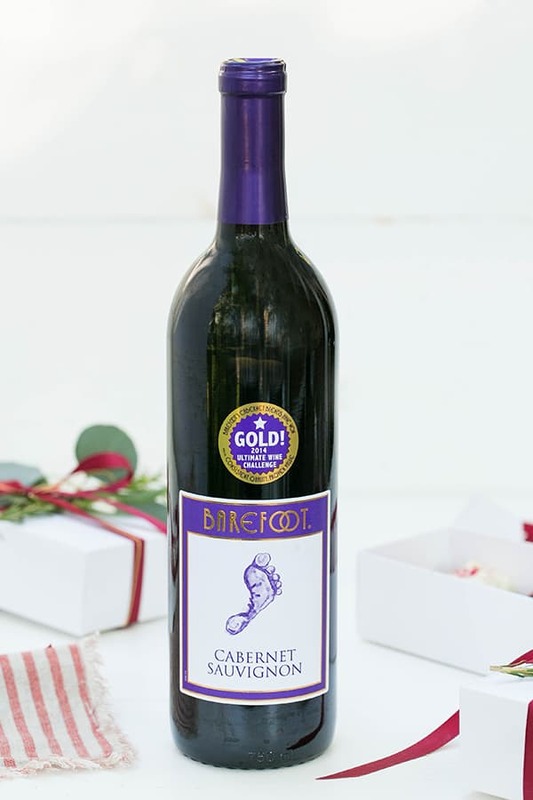 We teamed up with Barefoot Wine to create the most decadent and delicious red wine truffles made with Barefoot Cabernet Sauvignon. 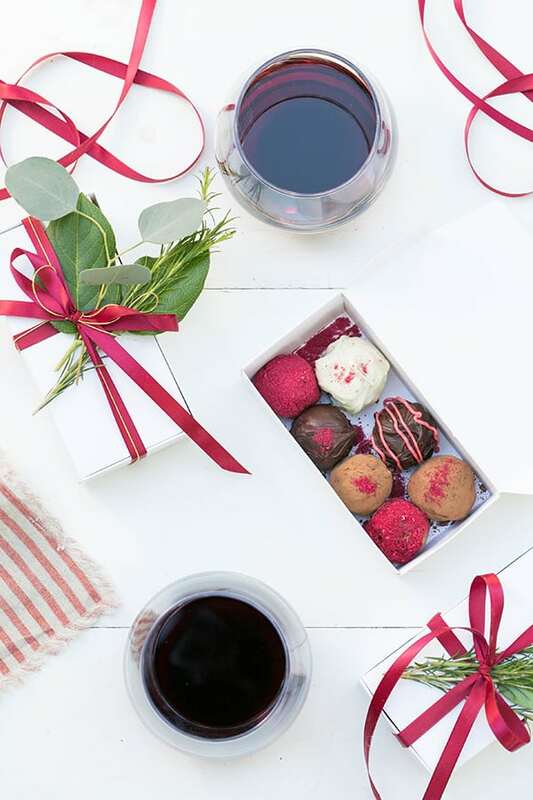 We all know wine and chocolate compliment each other nicely, but pairing them together in a dessert is even better. 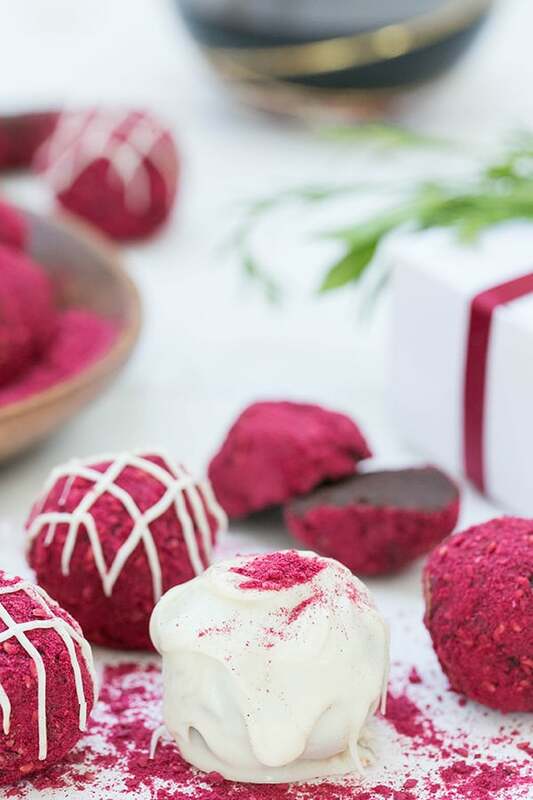 The combination of the rich chocolate and berry notes of the wine are the perfect match and then we rolled some of them in raspberry dust, which adds a touch of tartness. SO GOOD. 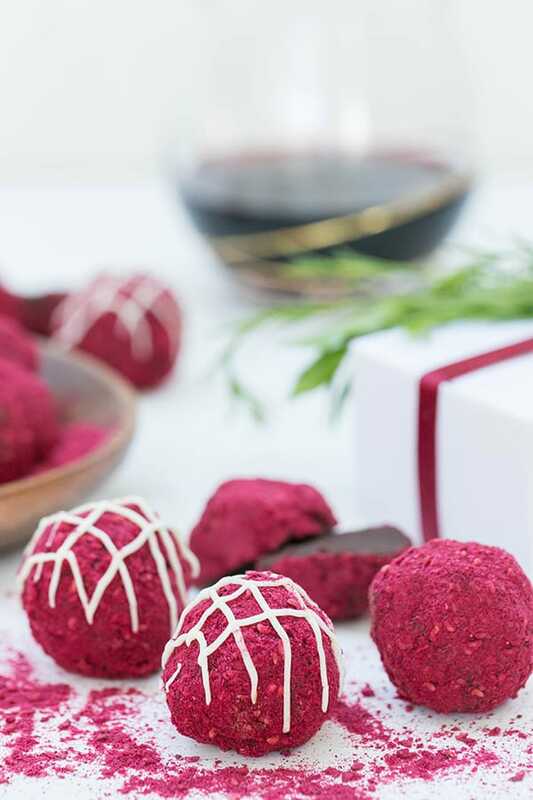 These truffles actually make you want to enjoy a glass of wine! 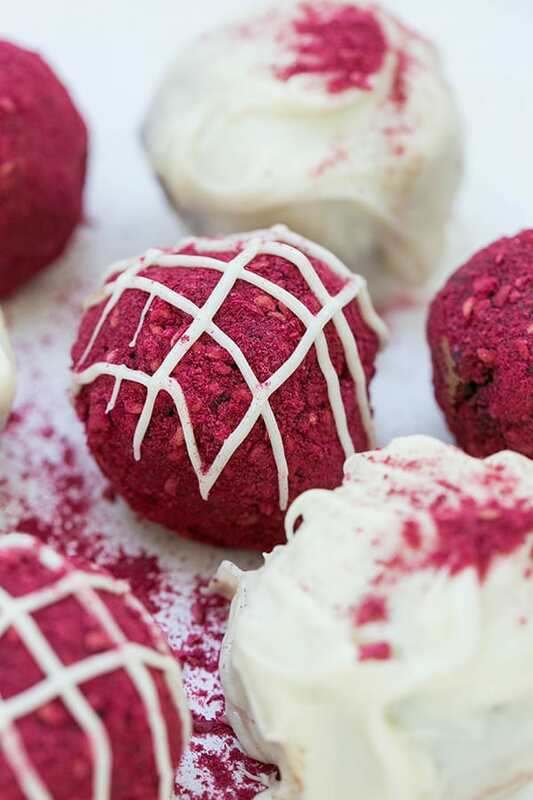 And this recipe is so easy to make… like really easy! You’ll definitely fool people into thinking you spent hours on these, considering they’re lavishly enjoyable! 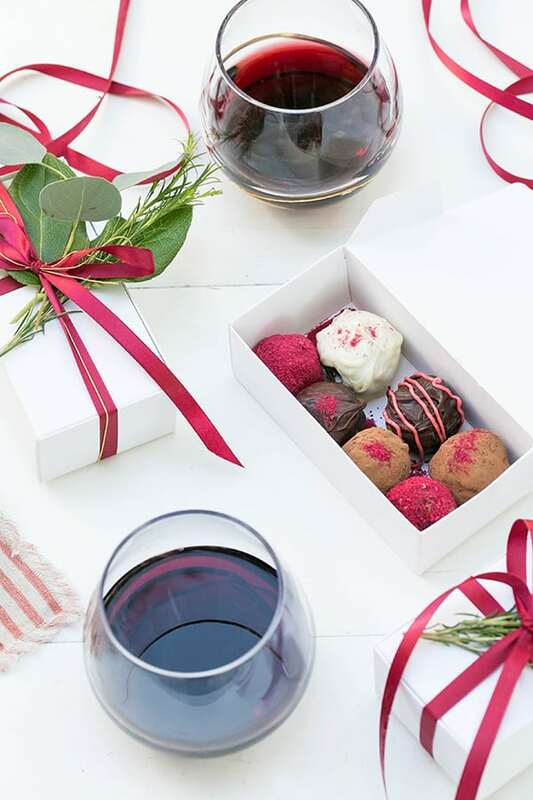 Red wine truffles make sweet gifts too! Recipe below… cheers! Add the chocolate to a heat proof bowl. Heat the heavy cream and butter until boiling, stir and watch constantly. Pour the hot milk over the chocolate and let it sit for a few seconds. 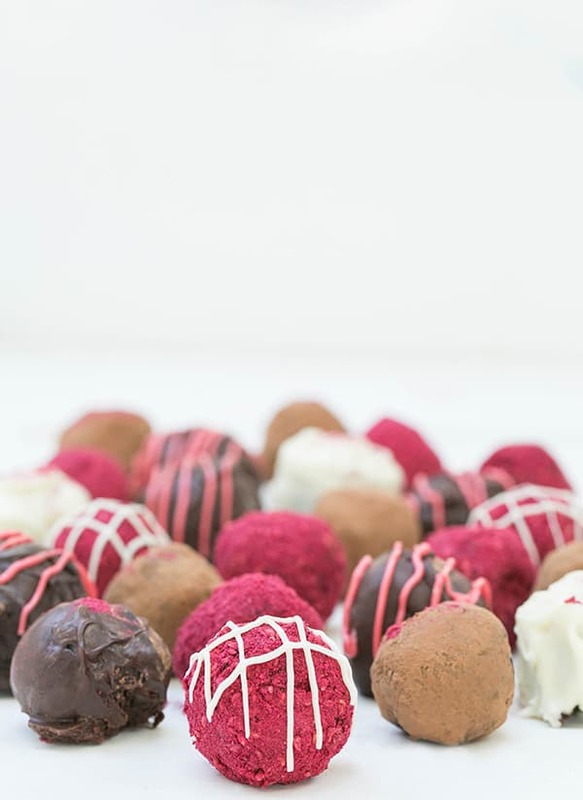 Stir together until all of the chocolate is melted. Add in half of the red wine and mix, then add in the other half and continue to mix until incorporated. Refrigerate for 2-3 hours, until chocolate mixture has hardened. Using a cookie scooper, scoop down the row until the scooper in full. 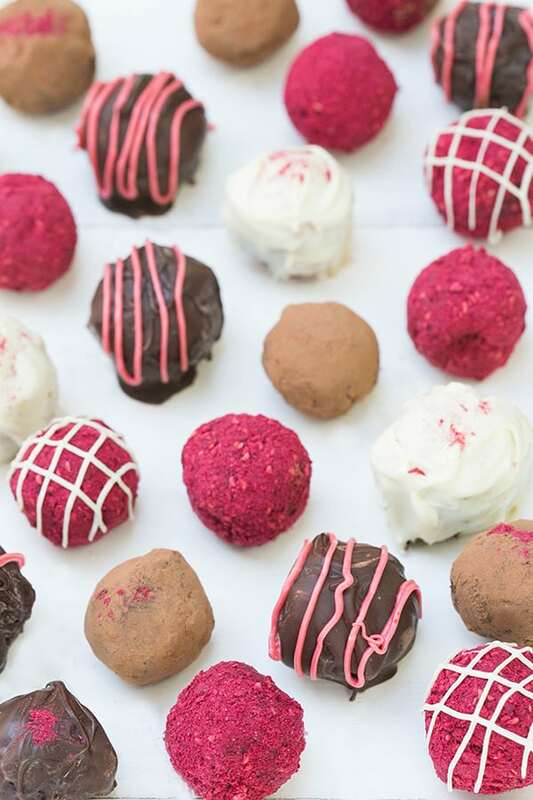 Then, release and form into little truffles. 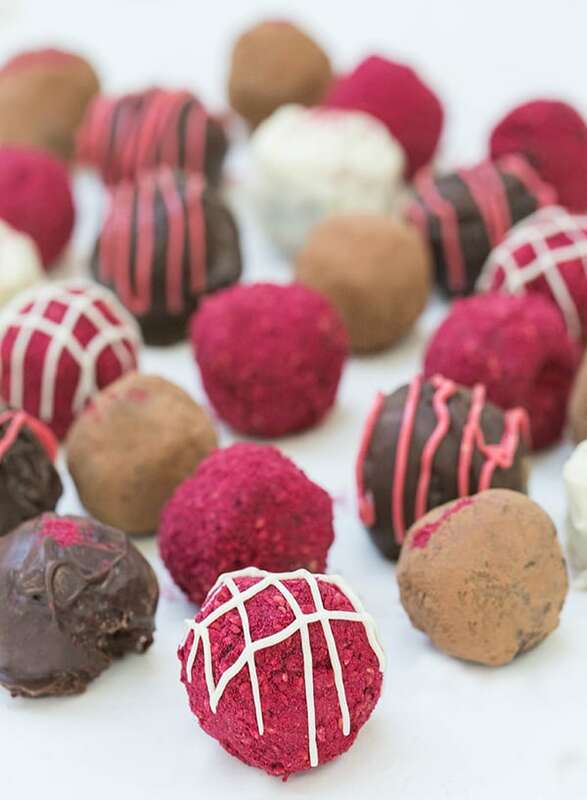 Roll into cocoa powder, crushed freeze-dried raspberries (or strawberries) or dip in melted chocolate.